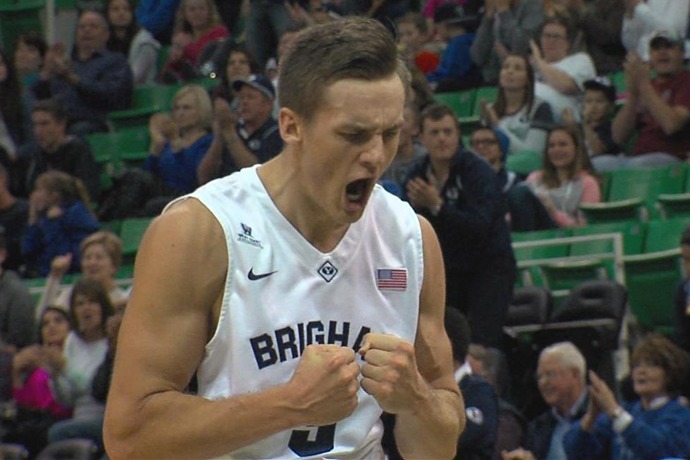 Kyle Collinsworth became known as “Mr. Triple Double” when he broke the NCAA single season and career triple double records during his time at BYU. Now a key reserve for the Dallas Mavericks he nearly accomplished the feat once again in the NBA. Registering career highs in minutes (44) and assists (8), he just missed the mark in last night’s season finale loss to the Suns. Collinsworth did however record a double double with ten points and 11 rebounds. Collinsworth just completed the first year of his three-year contract with the Mavs. He’ll spend some of the off-season in Utah where he will train, put on various camps, and continue to write and produce other content for his blog: www.teamcollinsworth.com.